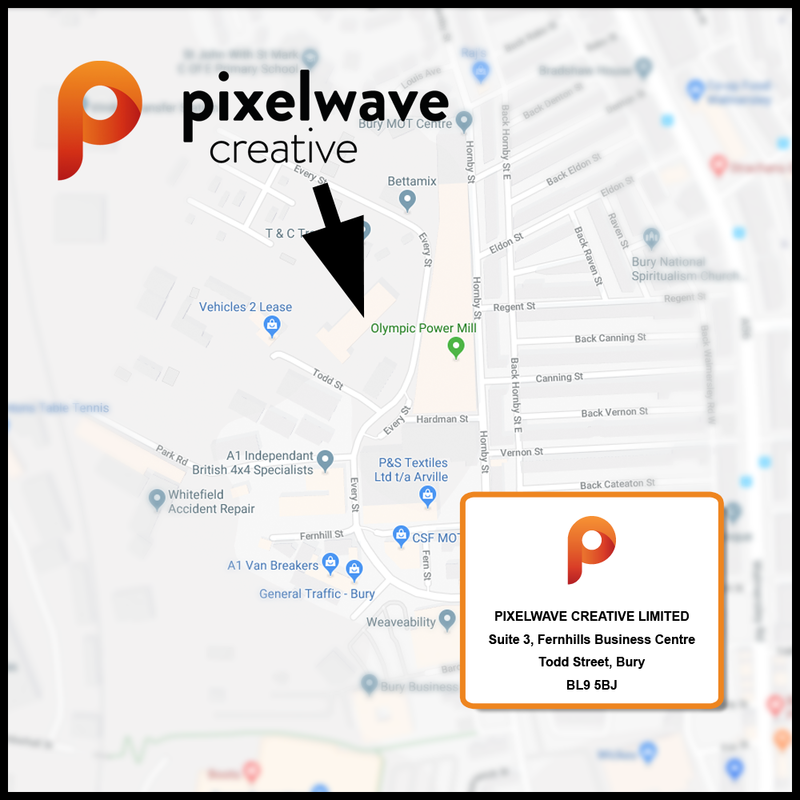 The Pixelwave Creative team has relocated to Fernhills Business Centre – close to Bury town centre and with easy access from the M66 motorway. While we’re incredibly sad to be moving from our current HQ at Freedom Church, we’re thrilled to be moving just a few minutes down the road. Freedom Church is moving to a new location as part of its development and we’re very fortunate to have found a new office provider that can accommodate our current needs and the future growth of Pixelwave Creative. We’d like to take this opportunity to thank Freedom Church for being brilliant hosts during our time there and we wish them all the best for the next stage in their journey. We’re always happy to hear about your projects and ideas so why not get in touch and pop in for a visit.